MONTEREY, Calif. -- If you're searching for couple goals, look no further than the Monterey Bay Aquarium! 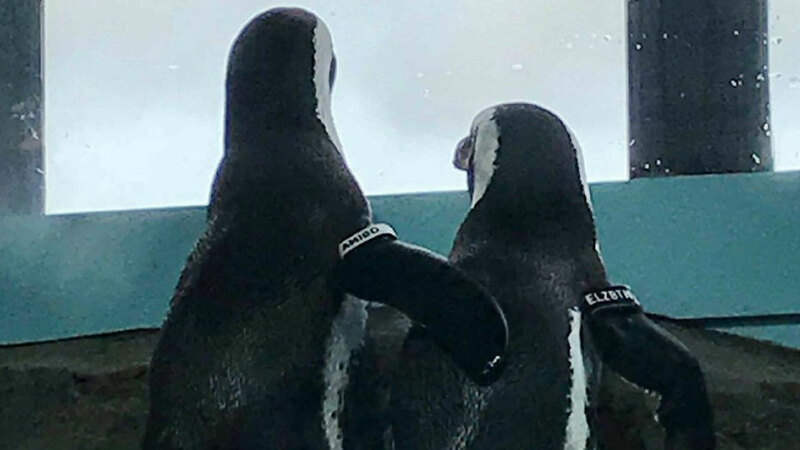 An adorable penguin couple was spotted snuggling on a birthday date by the sea. In a photo tweeted by the aquarium, Amigo the penguin can be seen getting close to Elizabeth the penguin on her 9th "hatchday." The loving embrace was captured by aviculturist Kim Fukuda as the two gazed at the sea. Aquarium staff said Elizabeth joined them in 2015 and is currently paired with Amigo, but is "still pretty independent and can be seen by herself a lot of the time." See if you can spot the cute couple on the aquarium's live penguin camera below.